What favorite food do you rarely eat and why? Dear reader, I love chocolate cake. I mean I really love chocolate cake. And it comes in many forms — Black Forest Cake, German Chocolate Cake, Lava cake (hmmmmm), Death by Chocolate, Devil’s Food Cake…. the list goes on and on. Look, if there’s a way to make chocolate cake, I’ll most likely enjoy it — not always, but probably. I’m not a fan of mocha cakes for example, and believe it or not there are cakes out there that have too much chocolate for my tastes. But I do enjoy chocolate cake for the most part. 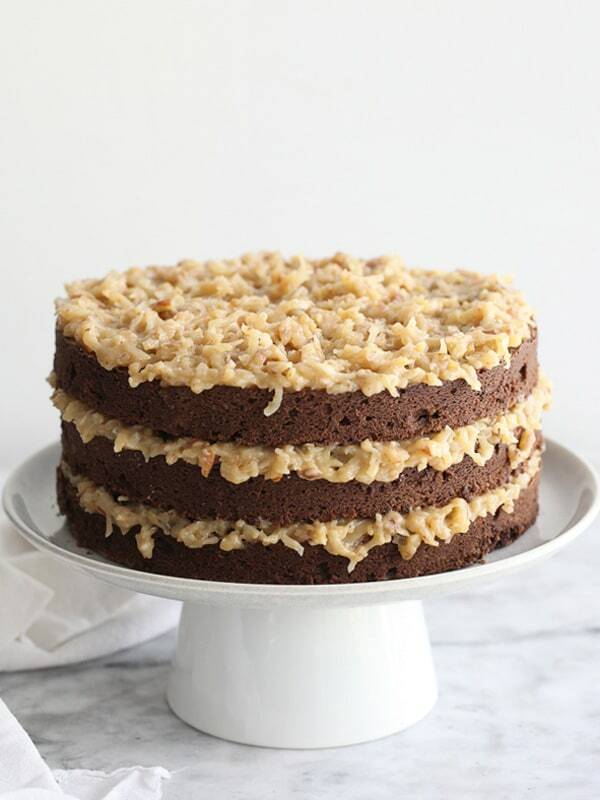 I’m not a big fan of cake in general except for the occasional chocolate cake — or carrot cake, I love carrot cake too. I used to have this really great recipe for a whole grain carrot cake that was super delicious. I’m gonna have to find that again… Oh, and a well made fruit cake is something I won’t say no to either. But finding one of those isn’t easy… Anyway, back to chocolate cakes. Now, as a general rule, I can’t eat an entire chocolate cake. And I normally don’t go around eating chocolate cake every day for a week. Because too much of a good thing ruins it. So for me, this is something I indulge in rarely — like once or twice a year. I’m so glad that supermarkets sell cake by the slice now — albeit they’re flipping huge slices so those bad boys are like, two (sometimes four) servings of cake, but hey, at least one does not have to make, or buy, an entire cake to get their chocolate cake fix anymore. 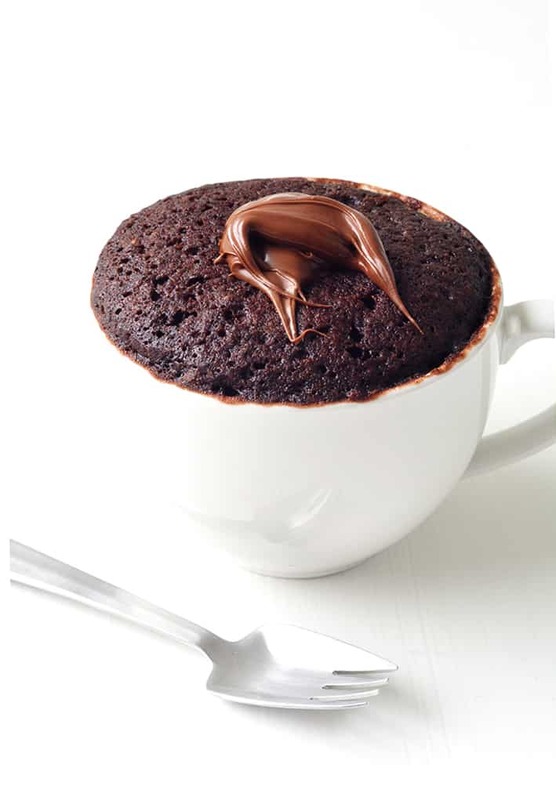 Or, I can make a cake in a mug, if I’m feeling froggy. I mean, if done right, mug cake doesn’t taste that bad. Not as good as buying one, but it’s good for a quick fix. Also, if I indulged in this food as often as I wanted too, I’d be much much bigger than I am now. What would your closest friends be most surprised to find out about you? Related to the above, I cannot make a cake from scratch. My closest friends would be surprised about this because most of them have seen me bake cookies, brownies, pastries, and even bread without a problem. But cake? Can’t do it. It always comes out wrong. All kinds of wrong. Don’t give me hints dear reader, I’ve been trying for over thirty years to bake cakes, and it’s just not happening. Muffins? No problem. Cupcakes? Got you covered. Even bundt cakes? I’m kinda sorta okay with them, but every. single. time. I try to put a cake recipe into any kind of cake pan (square, round, sheet whatever!) it never… EVER… comes out right. Except for the aforementioned mug cake. Those seem to come out… okay. For regular cakes, I have to use a mix every time. Also, frosting. I just can’t seem to get cake frosting to work. Again, I have to buy frosting. Any birthday cake I’ve ever made, have been mixes with pre-mixed frosting. I can and have made some pretty spectacular cakes using said mixes and frostings, but from scratch? That’s not happening. Like ever. Who is the most famous person you ever met and what were the circumstances? I haven’t met anyone famous outside of Dragon*Con, and those guys were paid to be there, I don’t think that counts as “meeting” them. If I’ve met a famous person in the wild, I probably didn’t recognize them because I have absolutely no facial recognition and could probably talk to someone famous for hours without ever knowing it. What famous person would you most like to have as a close friend and why? I wouldn’t want a famous person as a friend if they were popular because there’s a burden that comes with being popular and famous which I don’t want to share with anyone. I mean, wouldn’t turn away a friendship *because* someone is famous — I like to think so anyway — but I’m an introvert and don’t do well at the center of attention. I think if I could be a shelter for a friend who is both famous and popular without shouldering the burden of that notoriety, I would do that, but there’s no particular “famous” person in the world that I want to befriend just because they’re famous. Seriously though, I’ve made many mistakes in my life… who hasn’t? But I don’t regret them. Because to “regret” something is to: feel sad, repentant, or disappointed over it. I try very hard to live in the now. Very hard. Having said all of that… There is one regret, because I honestly and truly regret moving to Washington and the last three, four?, ugh… this time thing is hard. Damn you brain! I think it’s four years I’ve spent here. Our intentions were good, but the outcome wasn’t favorable for either of us. But, dear reader, I’m working on rectifying that mistake, and Doug and I have learned a lot in the past few years. We won’t make the same mistake again. So while I regret moving here, it has been a valuable life lesson. What is the strangest pet you ever had? 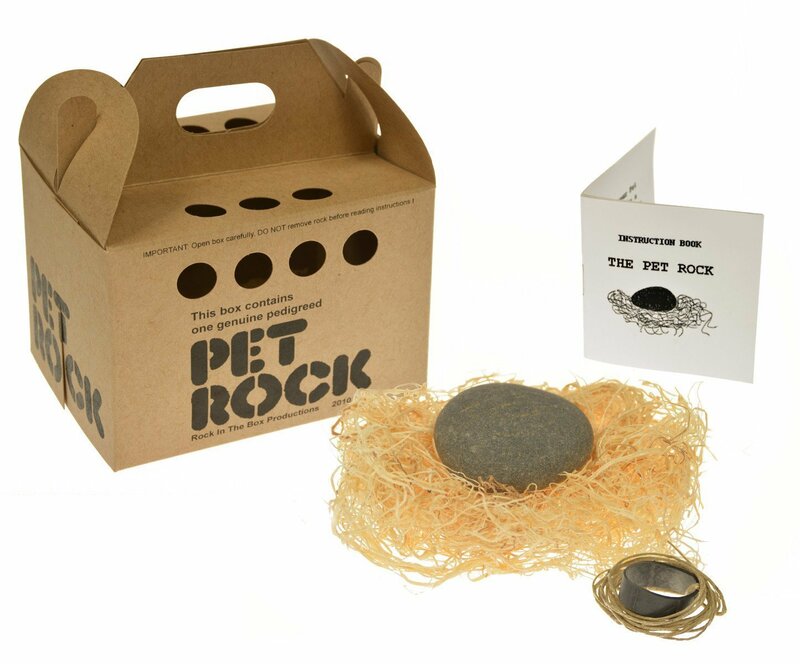 Pet rocks were a thing back in the 1980’s. Someone made a fortune on those them. Honestly, people paid money for them. Lots of people. Pet rocks were almost as popular as beanie babies if I remember correctly. That picture there is from Amazon… so they’re still selling them. We had one, his name was George (I think, my memory for names is nearly as bad as my memory for faces). We totally didn’t waste money on buying one. We found him by some river somewhere. I don’t remember where exactly. Anyway, we — my siblings and I — brought this big ol’ rock home, polished him up with a wash rag and painted eyes on him. Then we gave him to our mom as a “pet”. He served as a door stop for many years. What is the item of clothing you have owned for the longest period of time? I don’t know if this counts because I’ve just now accidentally donated it, but I had this faux wrap around skirt that I bought at a thrift store back in the 1990’s when I first got divorced from my husband. It was a really nice skirt and it fit me perfectly. I loved that skirt, and it lasted forever. I wore it a lot too. I wanted to actually send it to a seamstress and see if they could duplicate it in different fabrics — that’s beyond my skill set. There aren’t many articles of clothing that actually fit me well, but this skirt did. I was a bit miffed at myself when I realized this was in the box with the donations, but oh well, whatcha gonna do? What object in your house holds the most nostalgic value for you? I tend to not get attached to things because everything is temporary. Everything. Some things are simply more ephemeral than others. What question do you wish you had asked a deceased relative but didn’t? Nothing comes to mind. Who in the world (relative or not) do you most resemble? That would be my identical twin. We used to look exactly alike. We were the stereotypical, “I can’t tell which is which” twins when we were younger. I mean even family had difficulty telling us apart. But age and life have left their marks on us, and now we don’t look quite as similar to each other as we used to, but we still look remarkably alike. I’m sure that if I visited my sister now, I wouldn’t run into the same problem I had the last time… So I stopped for directions to Chrissy’s house because I’d never been there before, and the cashier at the convenience store thought I was my sister playing a joke on her. Nothing I said would convince her otherwise. I even showed her my out of state driver’s licence. This was before the age of smart phones, map apps, and photos on the phone, which is why I was asking for directions. So, I had to call Chrissy on the phone and tell her to please explain that I was, in fact, Willow and not Chrissy and could the cashier please just give me directions. I think we’ve changed enough that wouldn’t happen again. There would still be double takes, but I think I wouldn’t be mistaken for my sister anymore, or visa versa. What is your favorite footwear? All of my shoes are old and worn. I need new ones. I hate shoe shopping, and shoes in general. I have wide feet and high arches and it’s difficult to find shoes in my size. Most of my shoes don’t fit, I had to settle. Don’t even get me started on shoes. I’ll rant for days. This entry was posted in Questions and Answers and tagged Questions and Answers on April 8, 2019 by Willow. Fascinating!! And I hope you went over to Judy’s blog and put in your request as she is holding a contest in conjunction with those questions. Proceeds to be donated to a charity of the winner’s choice. I noticed that she was having a drawing, but I tend to not participate in such things, even for charities. It’s a weird quirk of mine. Hi.. I’m judy, the original poster of these questions. I can see you enjoyed answering these questions… I’ve entered your name in the drawing and if you win, will contribute $$$ to your favorite charity, depending upon the number of people who answer my questions…up to $100. Thanks so much for playing along…. Hi Judy, It’s up to you if you want to enter my name, but I tend to not enter drawings as a general rule, even for charities. If I “win” you can donate to the SPCA. Thanks. Good things to know! I regret deeply!! Our last move too. Working on rectifying it as well!